HIMSS TV on Friday said that Aneesh Chopra and Stacy Cummings have joined the slate of interviewees at the Global Conference next week. Chopra is the Founder and President of Care Journey and and former United States Chief Technology Officer; Cummings is the Program Executive of MHS Genesis, the U.S. Defense Department’s massive EHR modernization project. Cummings and Chopra join the packed agenda of experts HIMSS TV reporters will interview. On Thursday, for instance, HIMSS TV announced that Mount Sinai’s Ashish Atreja and Surescripts Tom Skelton would be on set. Atreja, is the Chief Innovation Officer at Mount Sinai and founding chair of NODE.Health. Skelton is CEO of Surescripts. 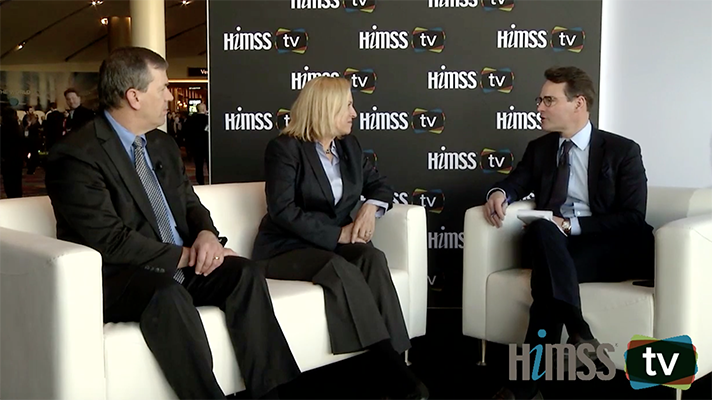 HIMSS Media debuted HIMSS TV last year at HIMSS18 and now we’re coming back for HIMSS19 in Orlando next month. This year’s HIMSS TV host is Kate Milliken, an entrepreneur and patient advocate with some serious health IT chops of her own. Kate will be hosting a range of guests from health system executives to startup CEOs, health IT pros at academic medical centers, the people driving hospital innovation -- not to mention HIMSS19 Social Media Ambassadors and Champions of Health as well as many Subject Matter Experts.